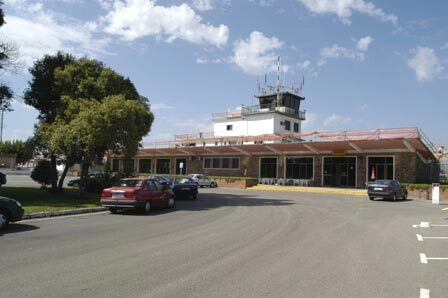 Cordoba Airport, with just one runway, is located at 6 Kms from the city and has a passengers terminal at the ground floor of the principal building. The one and only runway of the airport was inaugurated in 2013 and has a length of 2285 metres and a width of 60 metres. There’s very little traffic all throughout the year because there are no regular flights to the airport. Right now the activity at the airport is limited to private flights and national transport of transplants of the University Hospital, as well as training of pilots and parachutism. The airport is open to national and international traffic but without traffic control service because the number of passenger flights is so limited. The billing desk is at the ground floor. In case you do have a flight leaving here, you need to present yourself at this desk in a timely matter, up to 1.5 hours before the scheduled departure. The first documented ‘flight’ in Cordoba took place at the end of the 9th Century and was in the hands of Abbas Ben Firnas, an Andalusian who planned to cross the valley of la Rufaza. It was not until 1910 though that the next flight over Cordoba would take place, and until 1930 when the aerodrome was constructed that was used during the war. Cordoba Airport offers a parking zone near to the terminal, and the zone is divided into parkings P1 and P2. The Airport offers a bus service, and there is a train station at 8 Kms (which is approx. 14 minutes by car). Bus 0-2 connects the airport with Cordoba city centre and runs approximately every 30 minutes. At this moment the cost of a one way ticket is 1.15 Euro. How to get to Cordoba Airport? Go to Cordoba City and from start following the signs to the Airport: it’s an itinerary that will take approximately 15 minutes. The best thing to do if you want to visit Cordoba, is to take a flight to Malaga Airport. You can book from there a Malaga airport transfer to Cordoba, hire a cheap car or take the train that runs between Maria Zambrano train station and Cordoba Station.